Perhaps this phrase has lost some of its meaning over the years, but when I was a kid things were relatively simple and traditional. Dad got up early and left for work. You wouldn’t see him until just before supper. Mom was at home with us kids while we were growing up. She got us off to school and she was there when we got home. As a child, this was the worst thing you could hear. Sure, it was a stay of execution, but you knew in your gut that there would be no last minute pardon from the Governor. Dad, when he just got home from work, could be tired and grouchy. The last thing he wanted to deal with was unruly kids. His wrath would be swift and sure. 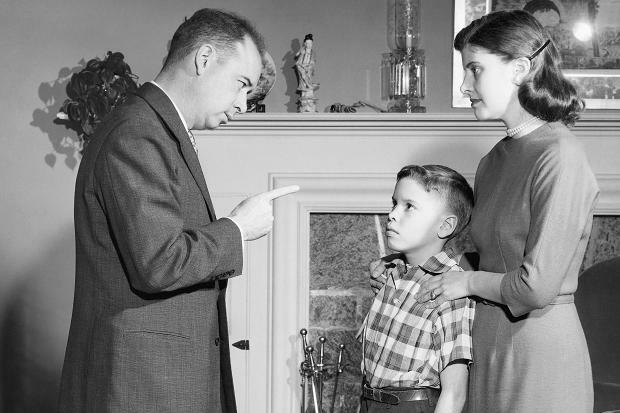 A kid soon learned a harsh fact of life: If mom played the “Wait until your father gets home” card, you were screwed. I have come to realize that there are threads of spiritual truth the permeate our every day lives and experiences in the most subtle of ways. Creation cannot help but echo the Creator. We carry in our hearts the capacity for both grace and wrath. I have come to find that most people consider love, grace and forgiveness as ideas we should fully embrace and celebrate until someone victimizes us or violates some threshold in our personal psyche. When that happens we want the trump card of judgment and wrath in our hip pocket. We want it to be swift and sure. We often perceive God through the lens of where we find ourselves on the grace/wrath continuum. The further a person’s personal scale tips towards grace the more uncomfortable they tend to be with the concept of God punishing anyone for anything. Those whose personal scale tips towards wrath tend to see God as willing executioner to their own personal judgment and convictions. Folly is found in increasing measure the further we move towards either extreme. I know that not everyone had the same experience I did, and our human fathers often affect our perceptions of God in negative ways. If that’s true of you, I beg your forgiveness. Please bear with me as I make this analogy. You see, as a child I experienced in my father both grace and wrath. I’ve come to realize that, motivated ultimately by love, both were proper and necessary in their context. There is an echo of eternity here. There is a time for grace, and a time for wrath. This morning I’m struck by the idea that Revelation is the spiritual form of “wait until your father gets home.” It’s not the end in this moment, but you better get yourself prepared. Dad will definitely be here at the end of the day. For disobedient children and their deeds, there’s going to be hell to pay.